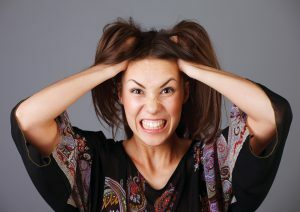 ​Every person in the world experiences stress. It affects men and women, rich or poor, young and old. Different people try to reduce or even try to eliminate stress from their life. The problem with attempting this on your own is that the results are usually temporary. Using hypnotic techniques could be the answer to reducing your stress level. ​Causes about 75% of all doctor’s visits are stress related. ​costs North American companies over 150 billion dollars a year. ​Can be the cause of strokes, heart attacks, ulcers, hypertension, and even death. ​Has been known to cause poor concentration, poor memory, tiredness, and migraines can be traced to stress. ​Has been linked to excess drinking and drug use. ​Is a leading cause of missed work at a number of 1,751,000 days per year. ​Causes one to make more mistakes, to stop caring about the job, family, or other events in life. It’s impossible to ever remove all stress from your life, but it is possible to change the way ​you will respond to situations. To understand how we can change our perception of a given thought, or action, think about the following story of deep snow. It seems too often that we allow outside stimulants to rule our lives. We’ve all heard of people saying that “stress pushed me back into smoking” or that “the kids made me eat”. It’s a lot easier to use another person or event as the excuse for failure, rather than accepting the fact that we have the ability to change the way we respond to any given situation or event. I can recall, years back when there was a terrible snowstorm. One of the neighbours was out trying to get his car out of the driveway and was cursing up a storm. Another neighbour walked out to her porch and said “I’m not going to make it to work today, but there’s a good book I’ve been wanting to read.” And then there was the young boy on the street ​who saw all the snow and yelled “Thank you God!” as he jumped into the snow with joy. Each one of these three people encountered the same stimulant, since the snow wasn’t any deeper on one side of the street than the other. One person viewed it as a tragedy, another thought “Oh well”, and the last one saw it as a blessing. You, too, can change the way you view any situation or circumstance to ensure your total success. It doesn't matter what caused you to feel stressed in the past, you have the ability to change the way you perceive events, people and circumstances. Everything comes down to choice, you can choose to feel out of control and stressed, or you can decide to take back control of your life. Stress cannot control you. Imagine how amazing it would be to have control over how you respond to stressful situations. 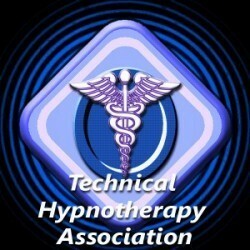 With the use of hypnosis there is no person, thought, idea, memory, feeling or sensation that could control your life. ​Our clients constantly comment on how much they enjoy feeling in control of their life.